This MPC meet is being closely watched since it comes on the heels of the tension-fraught RBI board meeting last month where the members agreed to set up a committee to look into the government's claim on surplus capital. While several major emerging market central banks have hiked key policy rates in recent months, the RBI is unlikely to follow suit. The unanimous consensus among bankers and experts tracking the sector is that the six-member monetary policy committee (MPC), headed by RBI Governor Urjit Patel, will announce a status quo today, after the fifth bi-monthly policy review of the current fiscal concludes. The committee's resolution will be put up on the RBI website this afternoon after three days of deliberations. This MPC meet is being closely watched since it comes on the heels of the tension-fraught RBI board meeting last month where the members agreed to set up a committee to look into the government's claim on surplus capital and come up with a restructuring scheme for MSMEs with aggregate loan exposure of Rs 25 crore. 1. Repo rate on hold: The market expectations signal that the MPC will keep the repo rate unchanged at 6.5% for the second consecutive time this year. The repo rate is the rate at which banks borrow short-term funds from the RBI. Since the previous policy announcement, the rupee has appreciated against the US dollar and moved above the psychologically crucial mark of 70. Global crude oil prices, meanwhile, have softened significantly, slipping below $60 per barrel from $86. There's good news on the inflation front, too. Retail inflation based on Consumer Price Index (CPI) fell to a one-year low of 3.31% in October on the back of cheaper kitchen staples, fruits and protein-rich items, as per latest available data, from 3.7% in the previous month. However, India's economic growth slowed to 7.1% in the September quarter after peaking to an over two-year high in the first three months of this fiscal, as consumption demand moderated and farm sector displayed signs of weakness. Moreover, industrial production grew at 4.5% per cent in September - the slowest pace in four months. Thanks to all the above factors, the RBI is expected to hold rates steady this time too. 2. Policy stance unlikely to turn dovish: According to The Economic Times, some analysts see the RBI reversing its stance to 'neutral' once again. "There will be no cut in the cash reserve ratio (CRR). But the RBI could now reverse its stance from calibrated tightening to neutral. The RBI won't drop any surprises and would maintain its status quo," Devendra Kumar Pant, Chief Economist, India Ratings & Research told the daily. However, a recent Kotak report expects the MPC to maintain its cautious stance "until core inflation reduces to around 4-4.5% on a sustained basis" - it pegs inflation at 4.5% in first quarter of 2019-20 against the MPC's prediction of 4.8% in the same period in its last policy. The broad consensus, hence, is that the RBI is unlikely to switch to an accommodative stance just yet. "As it has shifted to "calibrated tightening" only in October, the MPC is likely to signal a long hold," Bank of America Merrill Lynch said in a recent note. "In any case, we think it is far more important to ease liquidity, with the money market deficit set to climb to Rs 1,44,000 crore in December even after the RBI's Rs 40,000 crore open market operations (OMO). RBI OMO should step up to Rs 50,000 crore a month in the March quarter pushing G-secs into excess demand." 3. Liquidity situation: Sunil Sinha, Principal Economist, India Ratings, told the daily that the RBI has already taken steps like OMO before the festive season to counter the liquidity crunch. The overnight rate has broadly remained within the interest rate corridor, which simply indicates that there is no pressure of liquidity in the banking system as such. The apex bank may convey this in its policy action. In a similar vein the Kotak report pointed out that liquidity was strained only in pockets and not a system-wide crisis. "We estimate systemic liquidity deficit at around Rs 1.9 lakh crore by March 2019 with core liquidity deficit at around Rs 63,700 crore after additional OMO purchases of Rs 1.2 lakh crore in the rest of FY19," the report added. 4. Focus on tackling the ongoing credit squeeze: According to Sinha, with the liquidity situation pretty much in control, the RBI is more likely to look at improving the 'credit freeze' situation spawned by the Infrastructure Leasing & Financial Services Ltd (IL&FS) debt default crisis and the subsequent NBFC turmoil. After the IL&FS crisis, the NBFCs started finding it difficult to raise funds from banks, which started hoarding cash amid fears of further defaults. That's a big deal because a recent report by Edelweiss Securities Ltd pegs the share of NBFCs/housing finance companies in systemic credit flow spiking by about 350 basis points (bps) in the past two years to around 25%. "The banks aren't lending enough. 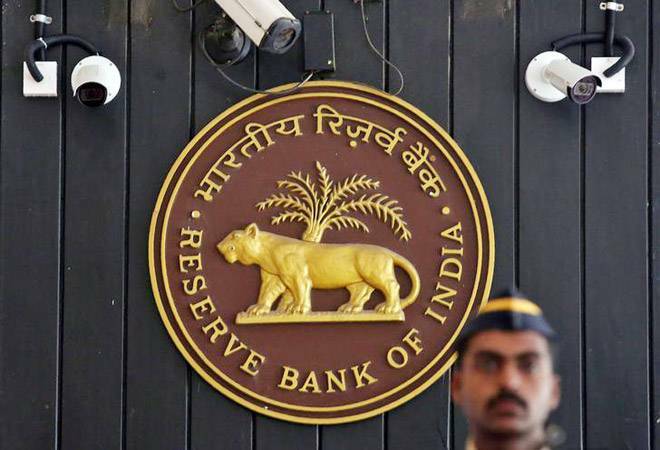 Though the present mood of risk aversion won't escape the banks overnight, the RBI may infuse some confidence building statements for the banking system that may help improve the cautious sentiment," Sinha told the daily. 5. Revision in the inflation target unlikely: Although inflation numbers in the second quarter of FY19 stood at 3.9%, below RBI's forecast of 4%, economists reportedly do not expect a revision on that front. Furthermore, despite loose talk of an interest rate cut in the offing thanks to the easing inflation, there's little chance of that happening given the global interest rate cycle.